This series set out to create a more realistic picture of Canada’s Mounties. It hints at complex and difficult relationships—with Indigenous peoples, for example. Still, the overall look and feel is surprisingly romantic. My research interests focus on Canada’s northern peoples and exploration in the Canadian Arctic documented in government-sponsored films, lesser-known independent and unpublished amateur films, as well as home movies. When the opportunity arises, I turn my efforts towards often-forgotten orphaned films that require much needed attention, with the hopes of making them accessible. My interest in LAC’s oral history collection began as a reference archivist, and later it became one of my major acquisition portfolios. This fueled a need to conduct donor interviews, as part of the long-established National Archives oral history program. Since 2015, I have been co-lead of LAC’s newly established Oral History Initiative—an oral history interview program that gives voice to and celebrates donors and LAC employees alike. The following is a sampling of early RCMP content from LAC’s vast collection of audiovisual records. The information is arranged in three categories: early fictional television dramas; early fictional feature films; and early documentaries and amateur films. The R.C.M.P. series was produced in 1959–1960 by Crawley Films Ltd., in partnership with the British Broadcasting Corporation (BBC). Based on actual cases from the RCMP files, these 39 half-hour shows were filmed in 35 mm black-and-white, and were broadcast in Canada, England, and Australia. LAC acquired the Crawley Films fonds in 1983. The holdings consist of 38,837 film reels, 12,800 photographs, 42 metres of textual records, and other media. Crawley Films was officially founded in 1939 by Frank Radford “Budge” Crawley and Judith Crawley in Ottawa. Amongst the various categories of film that Crawley Films produced—industrial, feature, documentary, animation, and commercials—the R.C.M.P. television drama series really set Crawley Films apart from other production companies. To produce the episodes, Crawley Films purchased 40 acres of land near Chelsea, Quebec, where an 8,500-square foot studio was built. 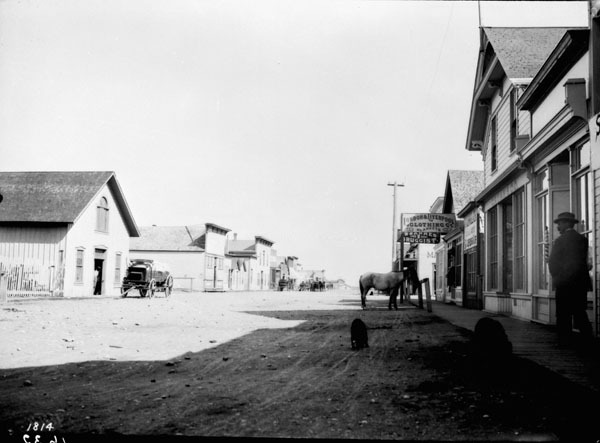 The towns of Aylmer, Quebec and Outlook, Saskatchewan, stood in for the fictional western town of Shamattawa. Gilles Pelletier, a French-speaking actor, played the lead role of Corporal Jacques Gagnier, who was the head of the detachment. John Perkins played Constable Frank Scott, and Don Francks as the rookie sidekick Constable Bill Mitchell. Recurring roles of Special Constable Ben Aputagen was played by Angus Baptiste and Mayor Bill Cartwright, by Bernard McManus. LAC has a complete set of the 39 episodes, as well as a version of episode 18, The Hunt, in German. Viewers tuned in to watch the series on CBC, Wednesdays at 8:00 pm. A list of all the episodes was compiled by The Classic TV Archive. 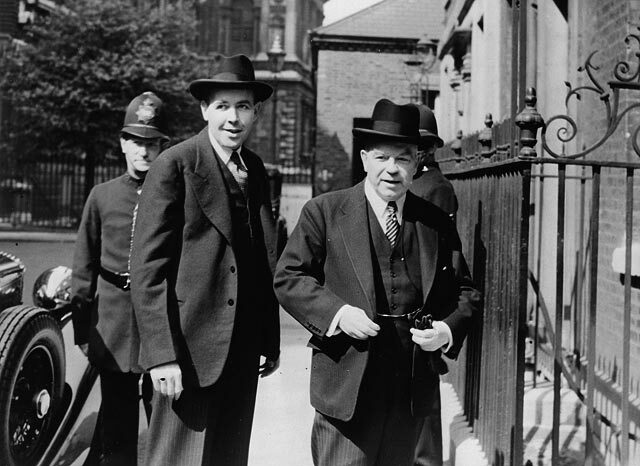 Prior to the R.C.M.P. series, and already popular amongst viewers and listeners was the American fictional drama adventure series of 78 episodes, Sergeant Preston of the Yukon, broadcast on CBS television between 1955 and 1958. 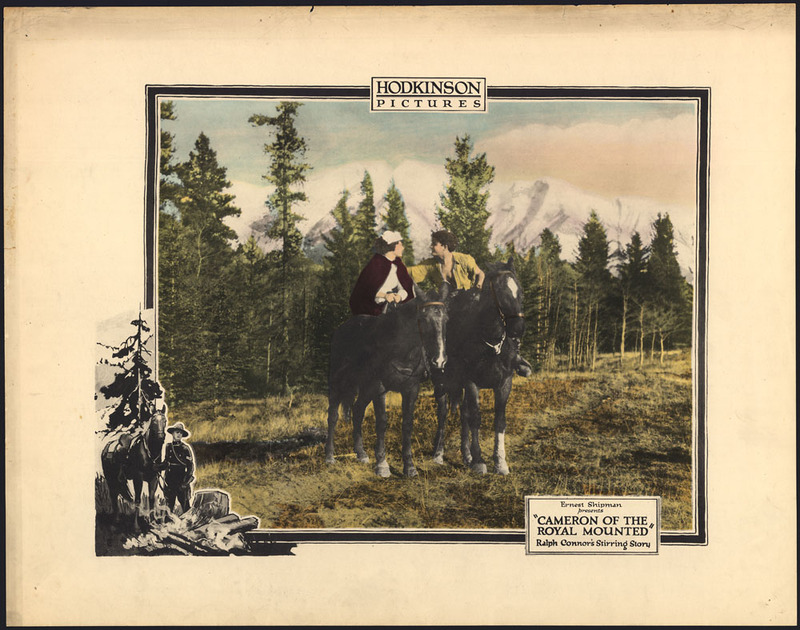 The series was based on Sergeant William Preston, a Canadian Mountie with the North West Mounted Police, patrolling the wilds of the Yukon with his horse Rex and his faithful dog Yukon King. Together they fought evildoers in northern parts during the Gold Rush of the 1890s. The television series was based on the popular radio drama, Challenge of the Yukon, a 15-minute radio serial about Sergeant Preston that first aired in Detroit between 1938 and 1947, and then on different radio stations up until 1955. The series was written by Tom Dougall, who was influenced by the poems of Robert W. Service. For those eager to travel down memory lane, the Old Time Radio Researchers Group website has all 609 radio episodes. LAC has some episodes of Challenge of the Yukon and Sergeant Preston of the Yukon. An iconic Canadian symbol, the RCMP was portrayed in several hundred Hollywood fictional works which saturated the film industry. Classics such as Rose-Marie (1936), a musical by MGM, and Renfrew of the Royal Mounted,(1937), a series of eight features by Criterion Pictures Corporation were distributed throughout North America and elsewhere. Cameron of the Royal Mounted (1921) is a silent fictional adventure feature with English intertitles, made by Winnipeg Productions Ltd., and based on the book, Corporal Cameron of the North West Mounted Police, by Ralph Connor. It tells the story of a young man who comes to Canada escaping arrest for forging a cheque. He falls in love but is shot by a jealous rival. The occasion presents itself to join the RNWMP. He rescues his kidnapped girlfriend, and clears his name of the initial offense. What really sets this feature apart from others is the bold decision to cast real Mounties from the RNWMP Fort McLeod post in Alberta as extras. LAC has an incomplete version of the film, with only two reels of a six-part feature. Other films include Policing the Plains (1927) by A.D. Kean of Canadian Historic Features Ltd. in Vancouver, and His Destiny (1928) also known as North of 49 by British Canadian Pictures Ltd. in Calgary. The latter was shot on location in Alberta, and includes scenes of the 1928 Calgary Stampede. LAC has two incomplete versions. There are plenty of films made about the Mounties but not as many made by them. LAC has over 1,230 moving image and sound records for both governmental and private collections documenting activities of the RCMP. 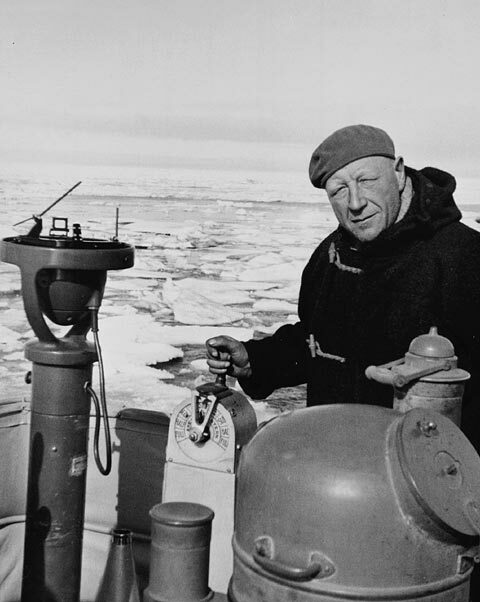 Documentaries provide a narrative of activities and events, such as Through the Northwest Passage, a film documenting a unique voyage in the history of navigation. The documentary shot by Corporal F.S. Farrar tells the story of the voyage of the wooden schooner St. Roch, Captain Henry Larsen, and her eight member crew as they sail from Vancouver, British Columbia to Halifax, Nova Scotia via the Northwest Passage from 1940 to 1942. Amateur films play a significant role in documenting history, culture, and lives and activities of individuals. 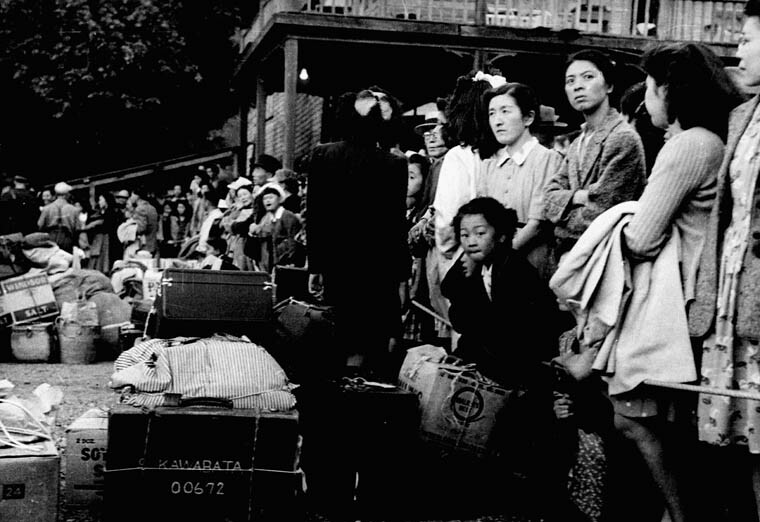 Many archives aim to promote their broader value or significance, as they are considered primary source material in the context of the historical record, especially given the increasing demand from researchers for their invaluable use in productions, sociological studies, websites, exhibitions, and more. Real life stories about Mounties are also told through amateur footage. Between the 1930s and the 1950s, Henry Larsen shot seven reels of amateur film documenting varied activities, people and places encountered during his northern voyages. 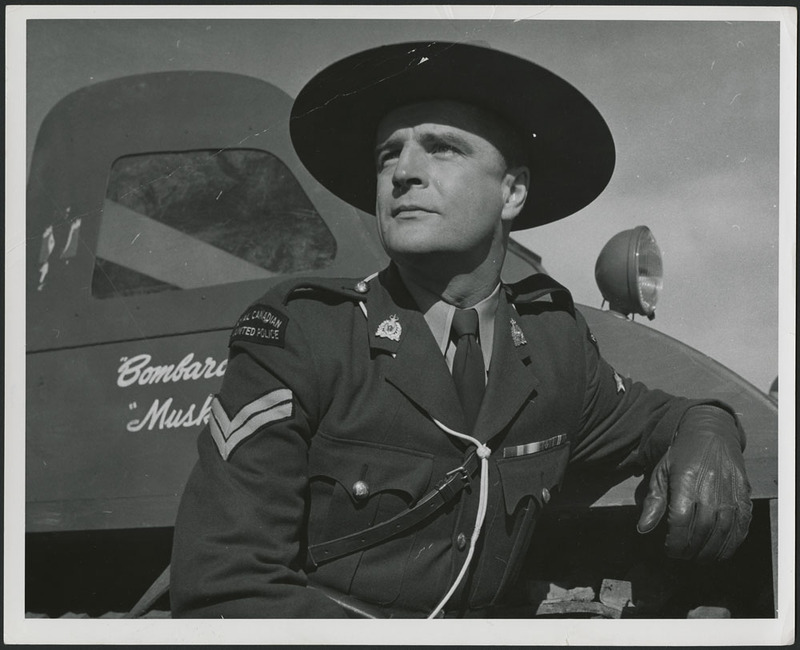 In 1932, Doug Betts became an RCMP Constable and trained at the Fairmont Barracks in Vancouver. Shortly afterwards, he was posted to Dawson, Yukon Territory and Whitehorse, and was promoted to the rank of Corporal in the late 1940s. The Norman Betts fonds consists of 23 reels of silent black-and-white 8 mm home movies. 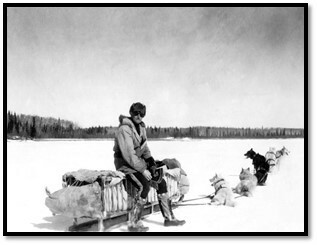 Corporal Doug Betts was an avid cameraman who took his camera on various work assignments, as well as during recreational leave, documenting placer mining operations, patrols by dog sled, investigation of a plane crash site, assisted hunting parties, and more. In addition, LAC conducted a donor interview with Doug Betts’ son Norman, to gain contextual information about the silent films. 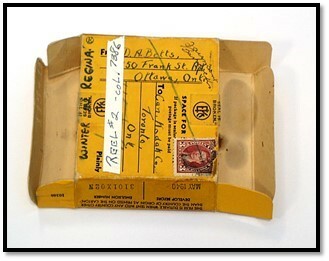 Kodak film box that contained a 16 mm 100 ft. reel of film shot by Constable Doug Betts. (Information such as annotations, stamp cancellation, and film due date, provide important clues to identifying the content and dates of a film). 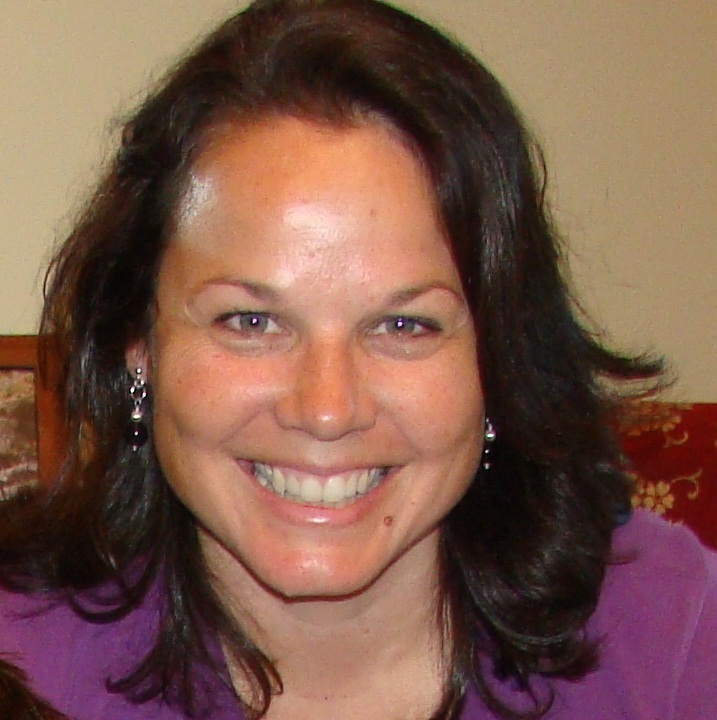 Caroline Forcier-Holloway is an Audiovisual Archivist at Library and Archives Canada (LAC). During her career at LAC, she has worked in various capacities beginning in 1989 as a Specialized Audiovisual Reference Archivist, General Reference Archivist, Film Researcher, and finally, an Audiovisual Archivist. Since 2000, she has acquired audiovisual fonds and collections of oral history, and Aboriginal and northern content, as well as French and English, private and government, professional and amateur filmmakers and broadcasters. In 1894, the Canadian government’s interest turned towards the Yukon. 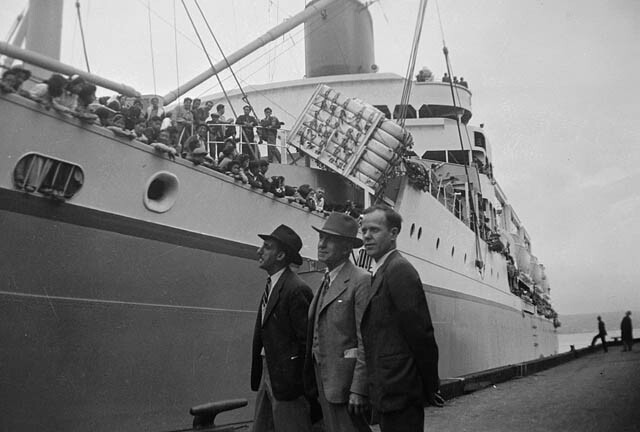 There were concerns about the influx of American citizens into the region as the new border was disputed in certain areas. In addition, there were mounting concerns over law and order, and the liquor trade among the resident miners. 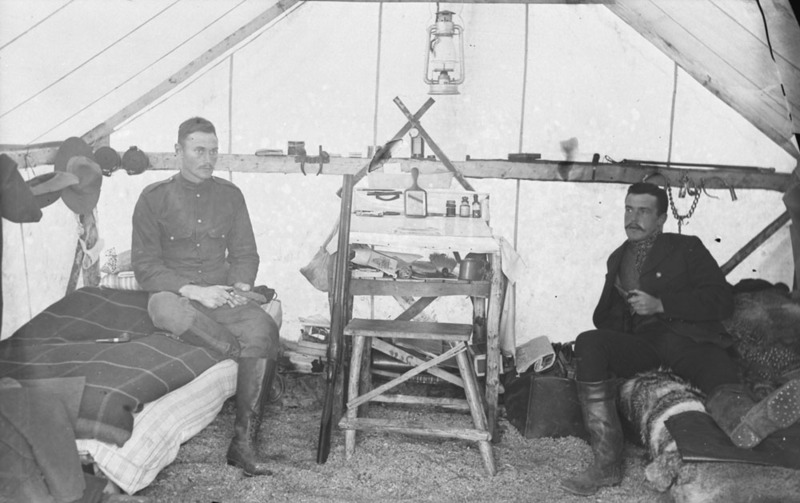 Inspector Charles Constantine of the North West Mounted Police (NWMP) was dispatched to the Yukon to carry out law enforcement, border and tariff control, and to assess the policing needs of the territory. 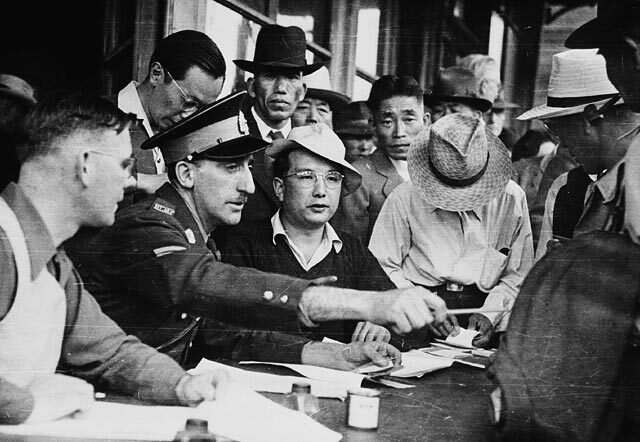 After four weeks of duty, Constantine returned south and submitted his report to the government recommending that a larger force of seasoned, robust and non-drinking constables between the ages of 22 and 32 years be sent to the Yukon to carry out border and law enforcement. It wasn’t until 1895 that a contingent of 20 constables under Inspector Constantine’s command finally set out from Regina towards the Alaskan border. They reached the town of Forty Mile and established Fort Constantine in July 1895. The year was marked by logging, enduring the elements and insects, and constructing their detachment building. Remarkably, crime during this time was rare. Things changed drastically in 1896. Gold was discovered near the Klondike River and news spread quickly. From a population of about 1,600 in the area, it swelled by tens of thousands by the summer of 1897 with prospectors, gamblers, speculators and those with criminal intent. A majority of these miners came from the United States. 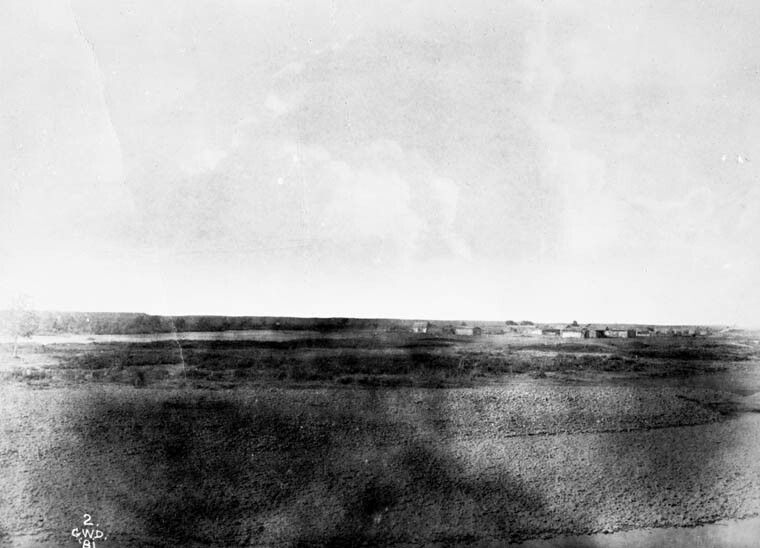 The NWMP commanded by Inspector Charles Constantine faced a challenge in policing the influx of miners streaming into the region from all directions. 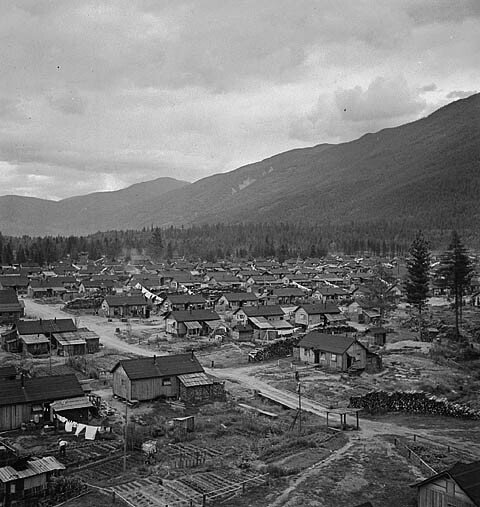 Customs posts were set up at the Chilkoot and White Pass summits and the collection of duties and tariffs began. Those miners with insufficient provisions to make it to Dawson City and survive the winter were turned back. By 1898, outnumbered, under-supplied and under-staffed, 51 NWMP members and 50 members of the Canadian militia maintained Canada’s sovereignty, and law and order at the border passes and in the mining areas in the Yukon. The Klondike gold rush lasted into 1899 until gold was discovered in Alaska. 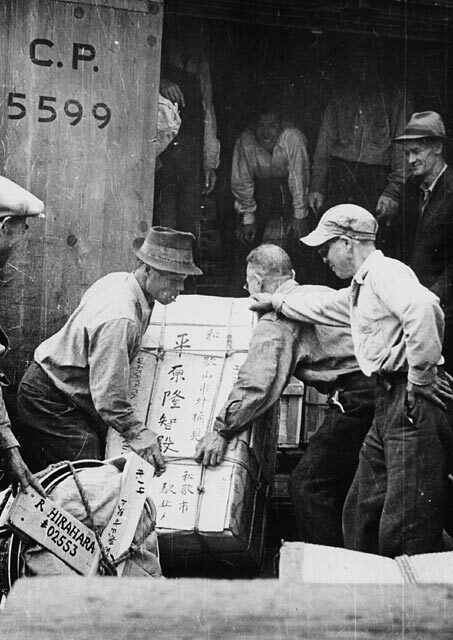 The migration of fortune seekers turned their attention and travelled towards that state’s Nome region. However, the Klondike gold rush left an infrastructure of supply, support and governance that led to the continued development of the territory to such a great extent that the Yukon was made into a Canadian territory on June 13, 1898. 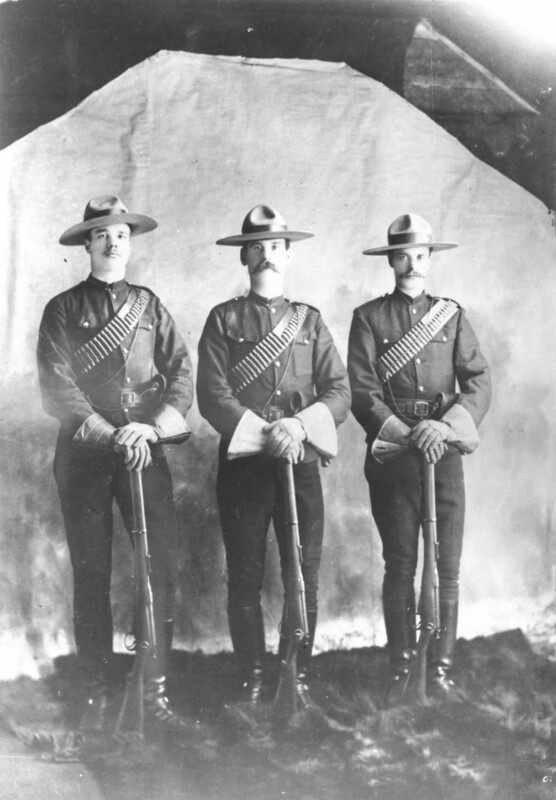 The North West Mounted Police also stayed to maintain peace and order under their steady hands. 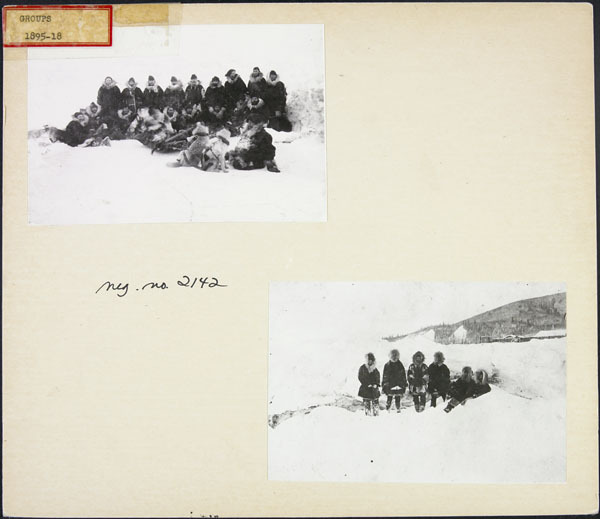 A wide variety of documentation is available at Library and Archives Canada (LAC) related to the North West Mounted Police, the Klondike gold rush, and their time in the territory. You may start your initial research in Charles Constantine‘s fond using Archives Search. A general search using his name will provide further records from the Department of Justice.